First time I heard about this island is from a traveller whom I met along the way in Laos. I was missing the beach so bad that I got excited when they told me to visit Koh Rong, a small island in the south of Cambodia. 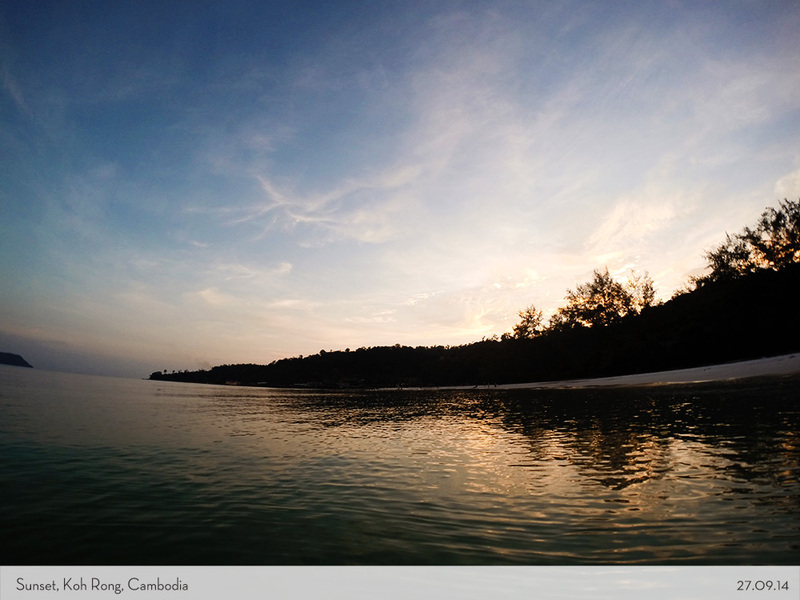 So I set my heart that my first destination in Cambodia was definitely Koh Rong. 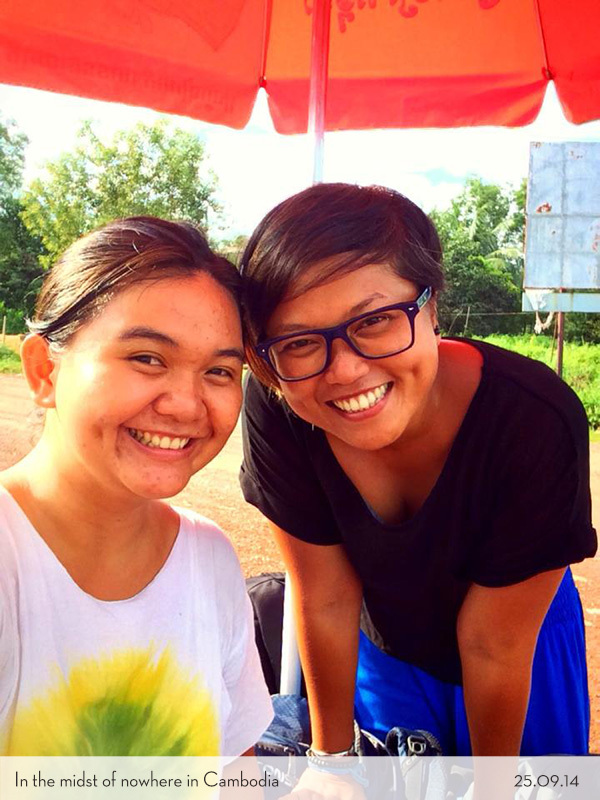 I and Arma were still in Koh Chang, Thailand, when I told her that I really wanted to go to Koh Rong first. Of course, who could say no to the beach, especially girls who used to live near the beach? 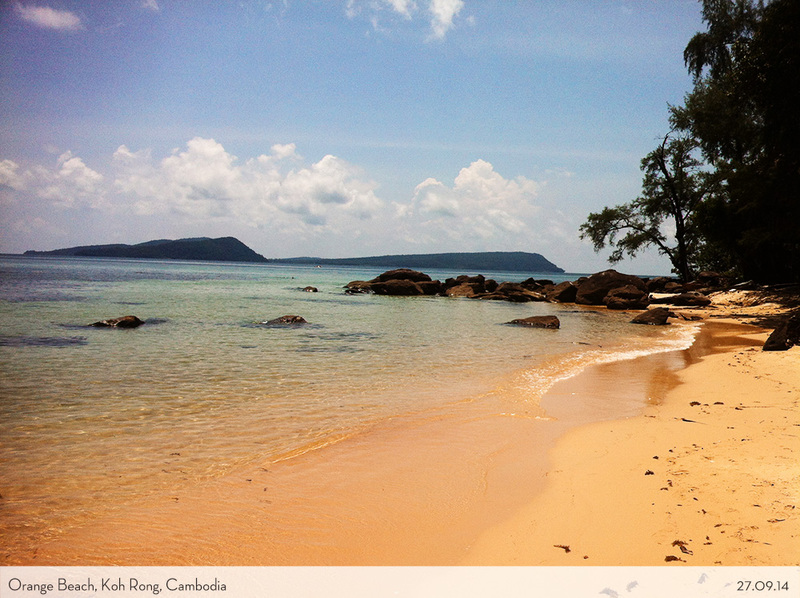 We fell in love so much with the island, therefore I have compiled Koh Rong Guide for the next visit! Thank God that the caretaker of our inn in Koh Chang was also worked in Koh Rong. He is an old man who works between Koh Chang and Koh Rong in the dive centre. He gave us so many tips and introduce us to the guys who runs the dive centre in Koh Rong. We were so grateful to him! We crashed immediately once we hit the sheets in Sihanoukville’s hotel. 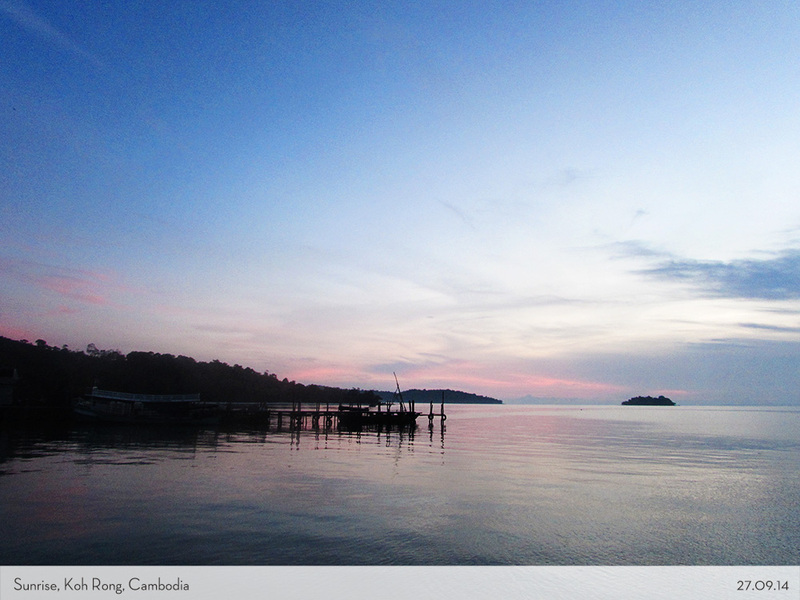 We had to sleep one night in Sihanoukville to catch the morning boat to Koh Rong. The speed boat to Koh Rong only 2 times a day, and it’s provided by the Koh Rong Dive Centre only. 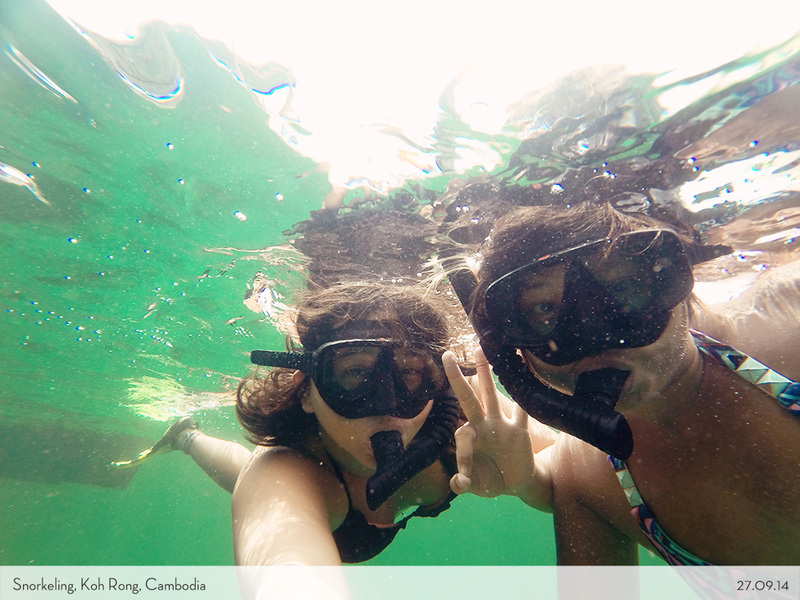 It only took us 45 minutes to reach Koh Rong. It was a very.. very.. very, oh did I mention, very.. small island? There were only 10-15 hostels and guesthouses on the Long Beach, where we finally found a cheap hostel to sleep in. When we first stepped into the harbour, a girl reached us and asked us to come to a cafe called Coco to had our orientation before we explored the island. I was like, “What?” I was impressed with how they run the island. They asked every new visitors and traveller to gather around and gave us tips and directions. They also asked us to maintain the cleanliness of the island and save water, considering this is a very limited small island. 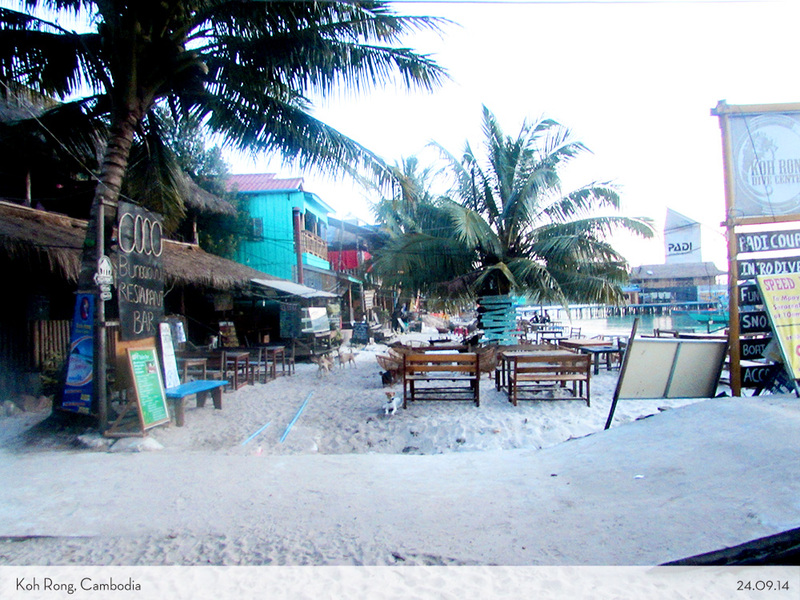 We visited the Koh Rong Dive Centre and asked around on which places and things to do here. Apparently, there was one hidden beach that we could reach by walking towards the small forest. This beach is a lagoon where the sea and river of the island met. Sounds great right?! 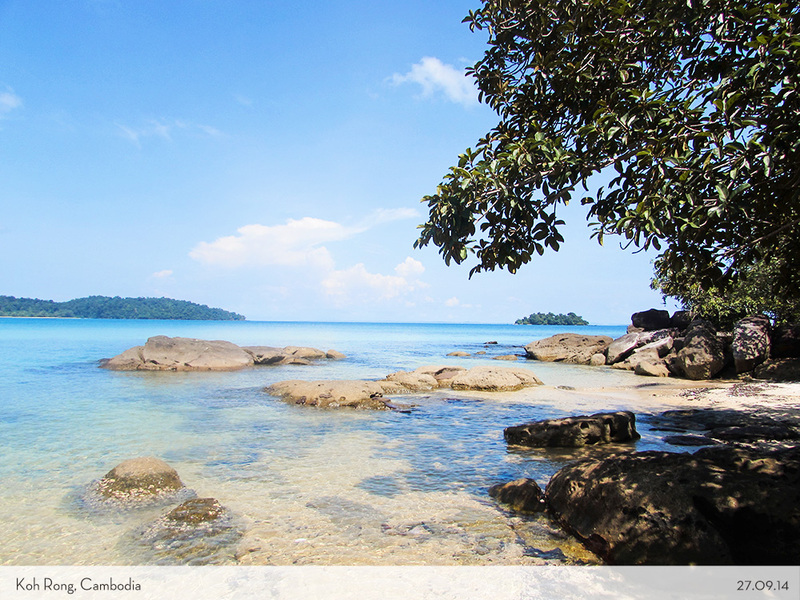 When we were about to go towards this hidden beach, we were already stunned by the view of Long Beach instead. It was so beautiful. A very long white sand beach, with calm waves, and turquoise crystal water. Note this: No Trash. At all. We were lucky. It was the low season where we could actually enjoy the view for ourselves. We took a walk in the forest where we passed by the Orange Sand Beach, with so many cute treehouse hotels on the side. As if we were in Robinson Crusoe movie 🙂 On the hidden beach, of course, no one was there! It was like our private beach! Boy, it was a perfect sunny day! 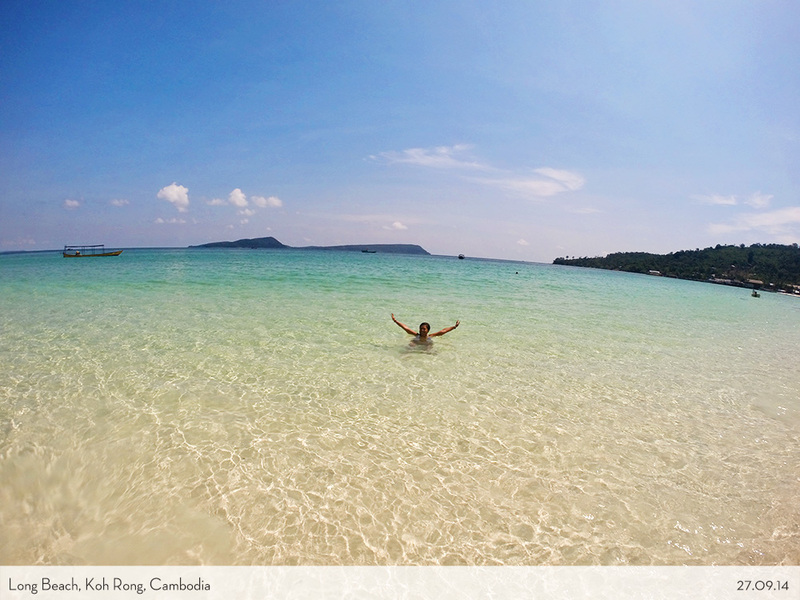 I have to say, Koh Rong is on top of my list of the most beautiful beach I have ever been. (Well, Indonesia too! But this island is so out of our expectation!) 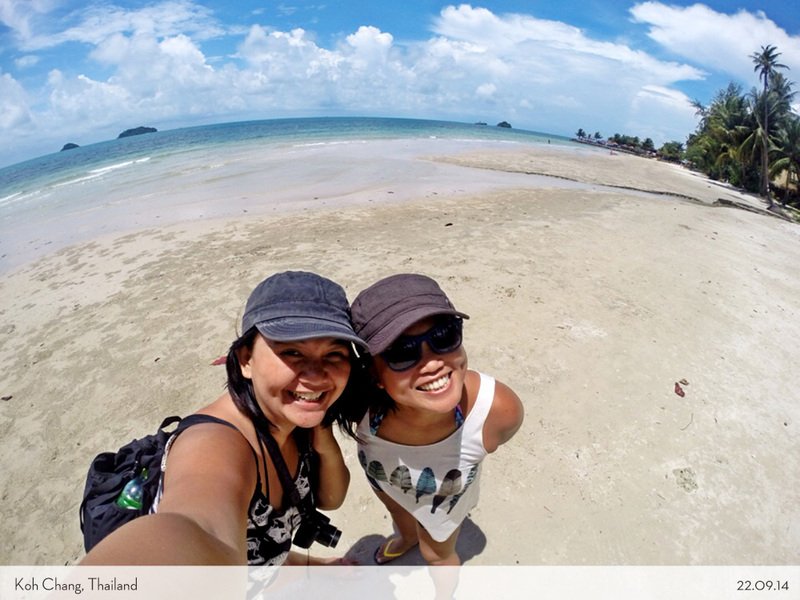 We prolong our stay in Koh Rong (Duh? Of course!) 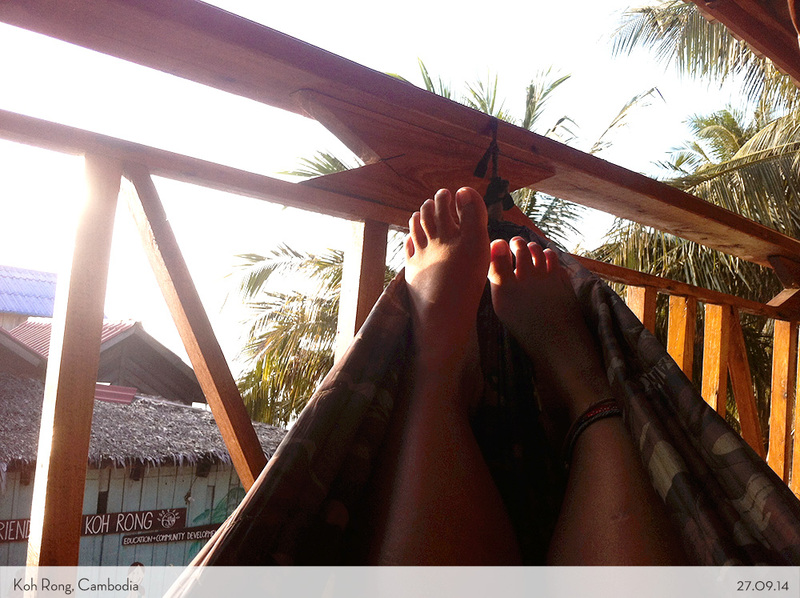 Everyday was just sleeping on the hammock, dip in the water of the beach, and then went to the hidden beach again. Oh, we also tried to snorkelling here. But if you came from a country with the most beautiful underwater scenery, you would think twice of going diving and snorkelling here again (sorry!). Then again, we were already spoiled by the superb view and the beautiful beaches. So why bother? Nonetheless, no journey would be worth if we don’t have bad stories to tell. At least we learned something new. 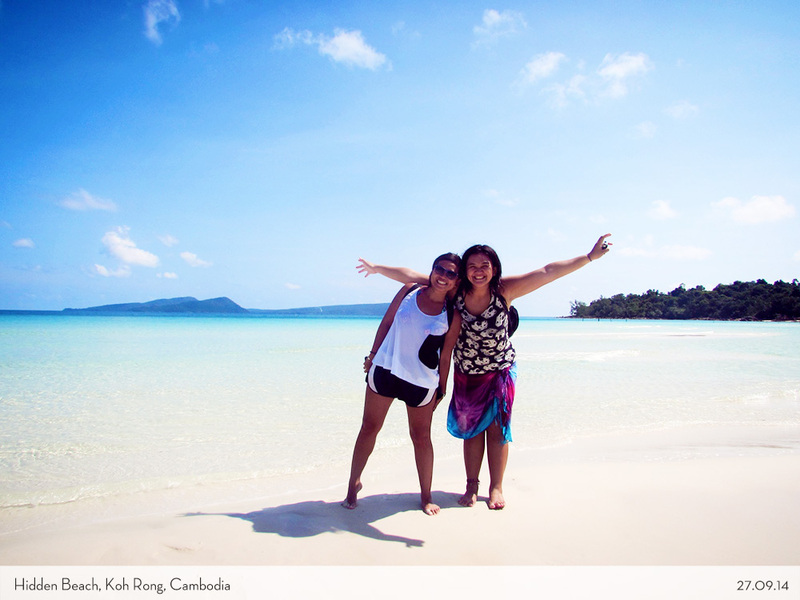 Koh Rong was a perfect spot for us to take a break during our long trip. So I didn’t take many photos here because we were too tired of documenting many things. Sometimes it’s better to just catch breathe, relax, do nothing and enjoy the view. Time move fast when you are doing the things that you love. We felt that in here. Oh, the sunset and the sunrise are superb! The sky often made the colours that I love the most, blue-pinkish sky with clouds! If I post this then the island won’t be hidden anymore, isn’t it? Well, I trust you, readers, to have some respect and appreciate the island if you ever went there. 2. 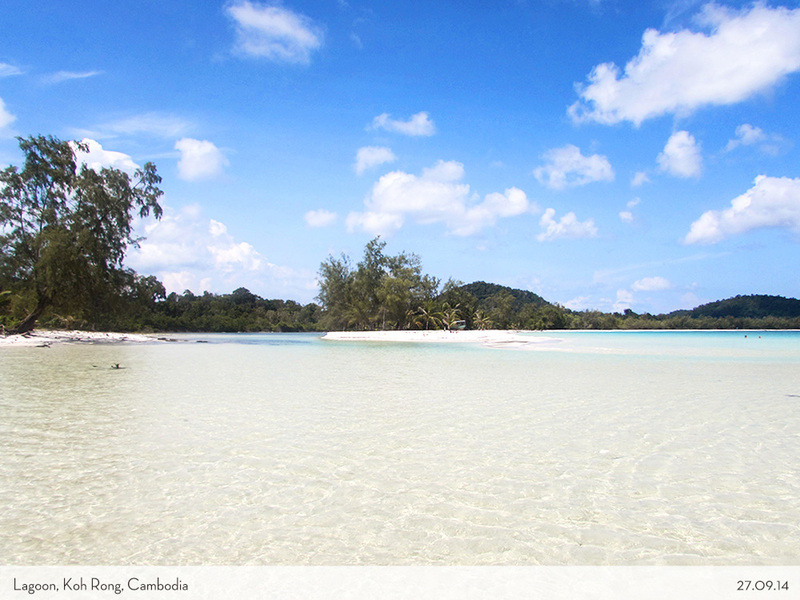 There are 2 islands, Koh Rong and Koh Rong Samloem. 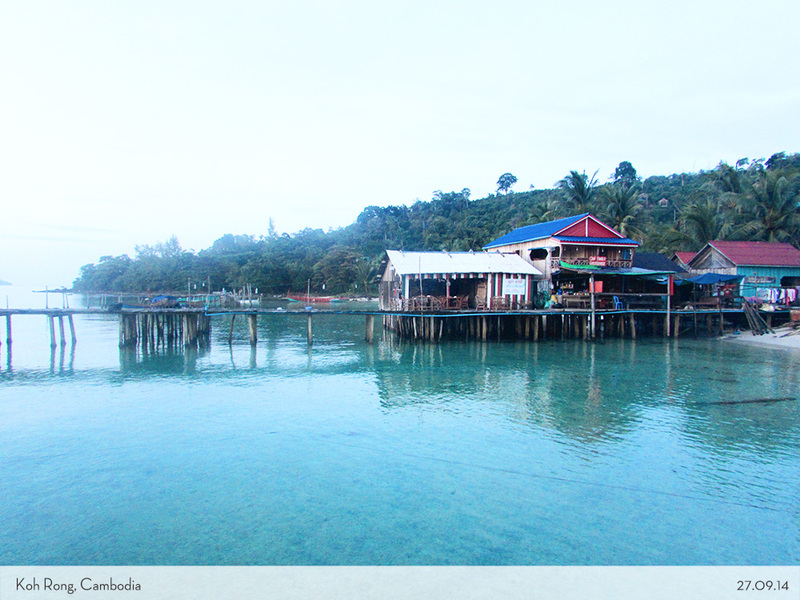 Koh Rong is the liveliest one, with many travellers, backpackers, or even gipsies who stranded here. You won’t be starving here because there are plenty of restaurants. 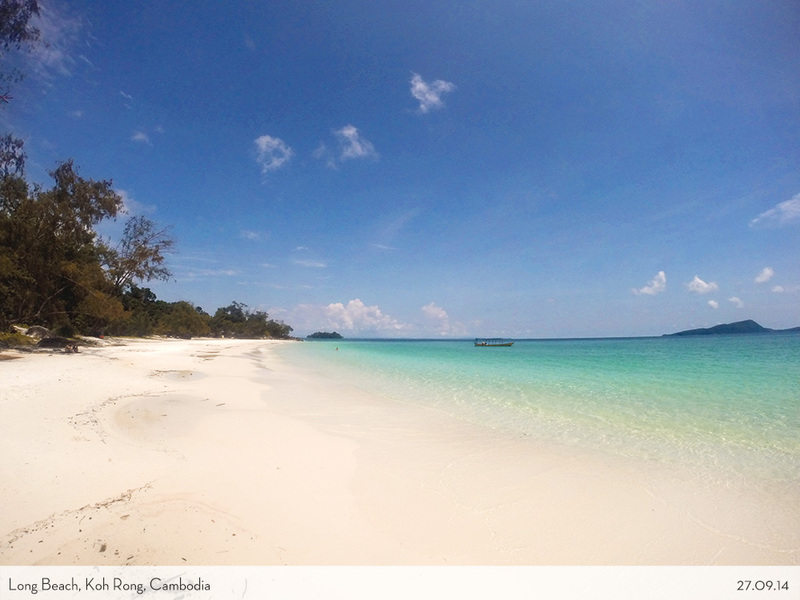 Another island, Koh Rong Samloem is quieter and fewer people. Perfect for honeymooners. 3. Find appropriate inn to stay. Even if it costs double or triple, as long as you make sure that it’s clean and far away from the dogs. We were obviously making the wrong choice. 4. Save the water. Take a shower when you feel really need too. 5. Bring your own water bottle. Many restaurants offers a refill water for travellers. 6. Bring your own trash to the can. Don’t spoil the beauty of the island! 7. 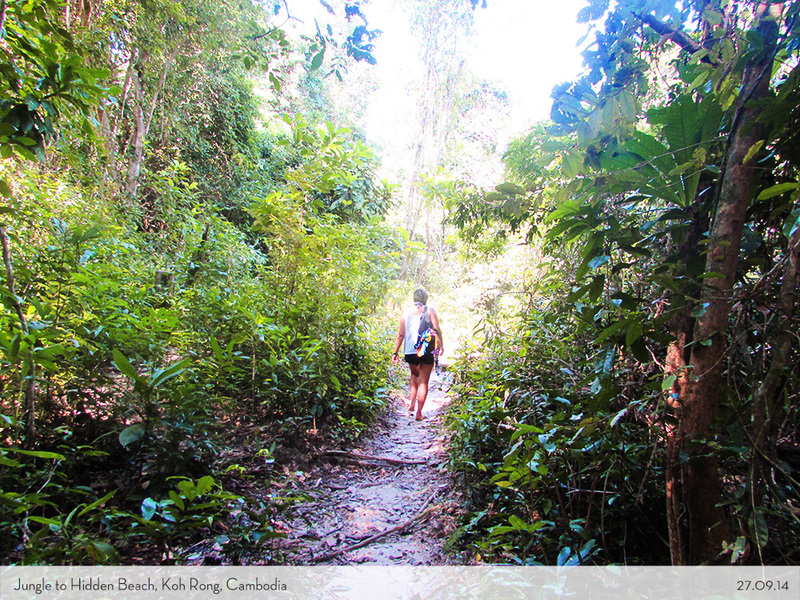 If you feel like you need some volunteer works, make sure to pay a visit to Friends of Koh Rong. 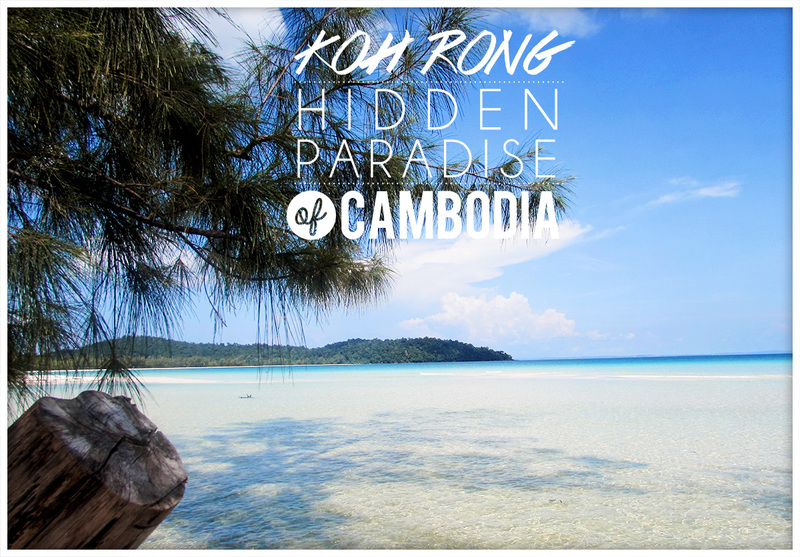 Cambodia is a poor country, and Koh Rong is practically a very secluded island. Any helpful hands are mostly welcome. 8. Just enjoy the view and go to the hidden beach for sure!!!! Great post! I’m In otres beach, cambodia now. I’ve been here for 4 days working on my website. I’m finding it really hard to pull myself away! LOL! Hey Marina..sy mau ke Kamboja nih for few days, jd dr Phnom Penh ke Sihanoukvill pake bus trus nyebrang ke Koh Rong Island pake boat ya? 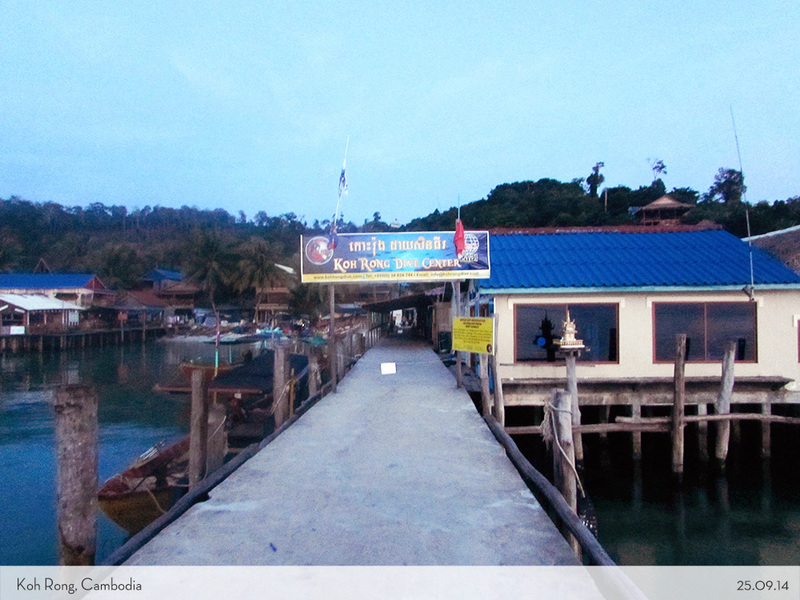 dan pantainya di Koh Rong Samlong? thanks be4..
Halo punqey! Yep! Betul! Koh Rong itu sebenernya ada 2 pulau: koh rong (aja) dan koh rong samloem. 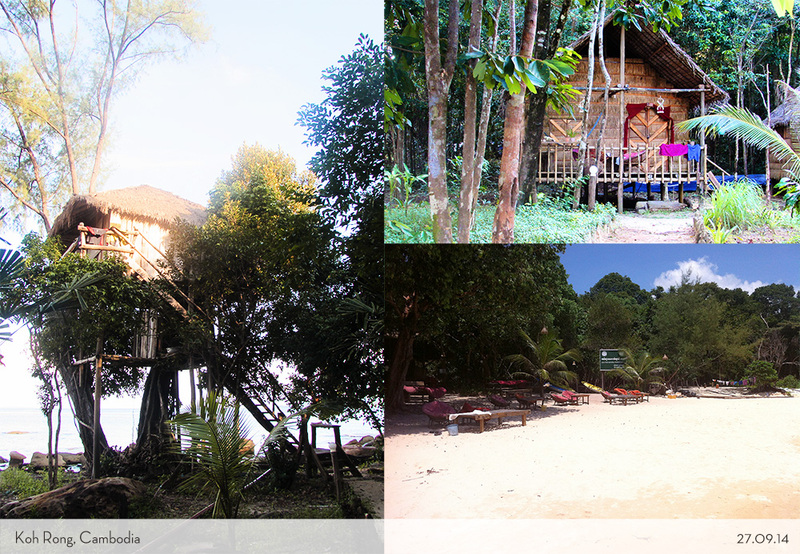 Yang Samloem lebih sepi dan guesthouse ga banyak, so if you are on a budget i suggest go to Koh Rong (aja). 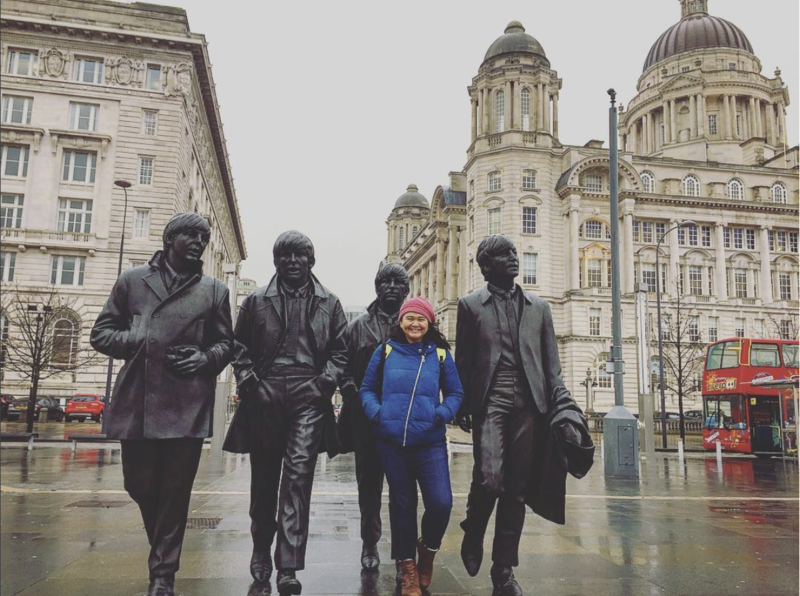 Lebih rame dan itu foto2nya yang saya post! 🙂 hope you like it there and let me know how it goes! Hmm.. Didnt get it? Are u sure u send to the right Marina Utami? Mgkn di accept dl permintaan pertemanan..dah terkirim kok, gw br sampe hostel jadi bsk lgsg jln klo memungkinkan..